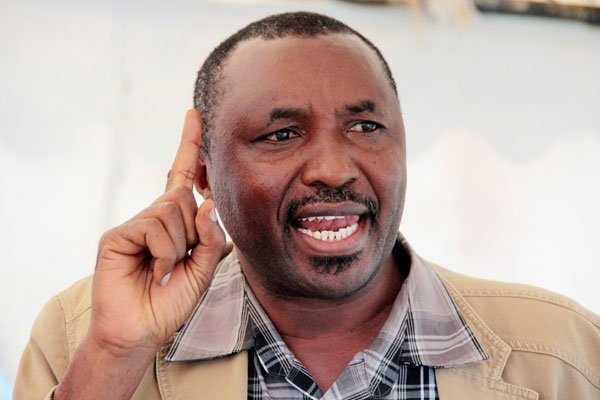 Wednesday March 27, 2019 - An outspoken Jubilee Party MP has defended Deputy President William Ruto at a time when he seems to be facing some hostility from a few Jubilee Party MPs led by nominated MP, Maina Kamanda. Kamanda, who is a former Starehe MP, has been crisscrossing the nation bashing the DP for being mentioned severally in graft cases. But in a press conference on Wednesday, Bahati MP, Kimani Ngunjiri, said Kamanda is a disabled old man who has reached political menopause and should not purport to speak on behalf of the Kikuyu community. “Maina Kamanda has reached political menopause. He is even holding a seat for the disabled persons," Ngunjiri said. The fearless MP opined that though the latter appears fine, he could be hiding something bigger which is only known by the Presidency, hence their decision to nominate him after losing in 2017. "Juzi hata nilikuta watu wakibishana kama ako disabled nikawaambia hatuwezi kujua (I recently heard some people wondering if he is disabled but I told them we cannot even tell)," he said. Kamanda's team is made up of MPs, Ngunjiri Wambugu (Nyeri Town), former Dagoretti MP, Dennis Waweru, Joshua Kuttuny (Cherangany) and Senator Isaac Mwaura (Nominated).